Ask any smartphone enthusiast about the chip that powers their Android phone and they’ll probably be able to tell you that it’s a Qualcomm Snapdragon. Whether it’s the company’s new top-of-the-line chipset, the Snapdragon 855, one of its older processors like the Snapdragon 835 or any number of the other mid and entry-level chips the firm manufacturers, Qualcomm’s products have become ubiquitous in the mobile space. With its newest chipset series, which the chipmaker announced on Tuesday, it’s clear Qualcomm wants to obtain that same kind of ubiquity in the smart speaker space. It’s easy to see why: according to at least one analyst cited by Qualcomm, there will be an install base of more than 220 million smart speakers globally by 2020. In short, it’s a growth category. 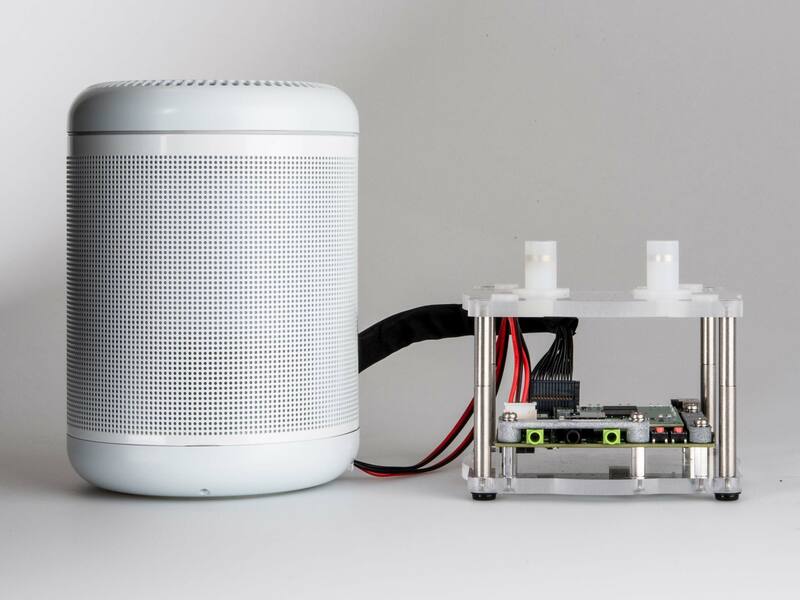 What’s more, according to Rob Saunders, director of product marketing at Qualcomm, with its expertise in hardware-assisted machine learning, connectivity and audio, the company feels uniquely suited to deliver the go-to solution for smart speakers. To that end, Qualcomm spent the better part of more than two years designing a system-on-a-chip (SoC) from the ground up for smart speakers. The result is the QCS400 family of chipsets, which in total consists of four different SoCs designed for audio devices at different price points and capabilities. Qualcomm is billing the QCS400 as a computational powerhouse, especially when it comes to AI-related tasks. In addition to up to four processing cores, the chipset features two of the company’s Hexagon digital signal processors (DSP). Working together with a vector accelerator, the QCS400’s DSPs have enough computing power to do voice recognition on-device. Additionally, any QCS400 device will be able to listen for multiple wake words simultaneously. That is, in contrast to existing smart speakers, using a device with Qualcomm’s new chipset, you’ll be able to use, for instance, “Okay Google” and “Alexa” interchangeably, instead of being limited to or the other. While first-party smart speaker makers like Google and Amazon are unlikely to take advantage of this functionality, Qualcomm says it’s something third-party manufacturers have expressed keen interest in. The chipset also features one of the company’s Adreno graphics processing units (GPU). Essentially, the inclusion of a GPU will allow OEMs to easily build Echo Show-like smart displays using the QCS400 as a base. Qualcomm has also integrated its latest 2×2 802.11ac Wi-Fi chip, with support for both Bluetooth Low Energy and Zigbee, into the QCS400. The Bluetooth connectivity is there to help make the initial setup devices easier. For good measure, Qualcomm has also built in support for its aptX Adaptive Bluetooth audio codec. There’s also built-in hardware support for both Dolby Atmos and DTS:X. 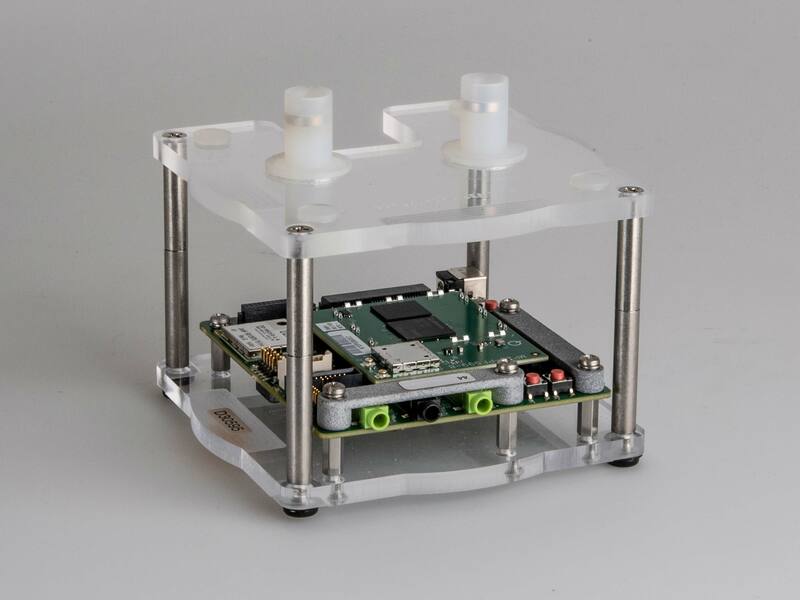 One of the interesting aspects of the QCS400’s Wi-Fi connectivity design is that it can, in some capacity, function as part of a mesh network. Qualcomm says it mostly envisions this as a way it can ensure it provides “best-in-class” audio playback with the QCS400. With support for up to 32 channel audio playback, Saunders says the company spent a lot of time thinking about how to ensure low latency playback. And then there’s the fact that the QCS400 is a SoC that integrates all the components mentioned above onto a single piece of silicon. This brings with it significant power-saving benefits. According to Saunders, the QCS400 family features approximately 25 times lower current consumption than the current crop of chips found on in-market smart speakers. With a typically-sized battery, Saunders says the chip can squeeze out 14 days of continuous operation. Moreover, during that entire time, the QCS 400 is able to actively listen for wake phrases. In a lot of ways, the increased power efficiency of the QCS400 series is its most promising feature. Qualcomm imagines the chipset potentially powering an entirely new category of portable smart speakers. There’s also the potential for smart speaker manufacturers to create devices that combine one of the chipmaker’s QCS400 chipset with a backup battery to offer some functionality even when the internet is out. Whether manufacturers decide to take advantage of that functionality remains to be see. However, what is clear is that Qualcomm has built the QCS400 series to be versatile and scaleable in way that enables a variety of devices. From the smallest Echo Dot-like devices to multi-speaker, multi-room setups, there’s a QCS400 series chipset that can power that device. Moreover, speaking to Saunders, it’s clear Qualcomm has both a lot of confidence in and expectations for the QCS400 series. Late last year, the company introduced its Snapdragon Wear 3100 chipset. Like the QCS400, Qualcomm designed the 3100 from the ground up to meet the needs of its customers. The 3100 was supposed to help flood the market with Wear OS smartwatches. It’s safe to say that hasn’t happened. 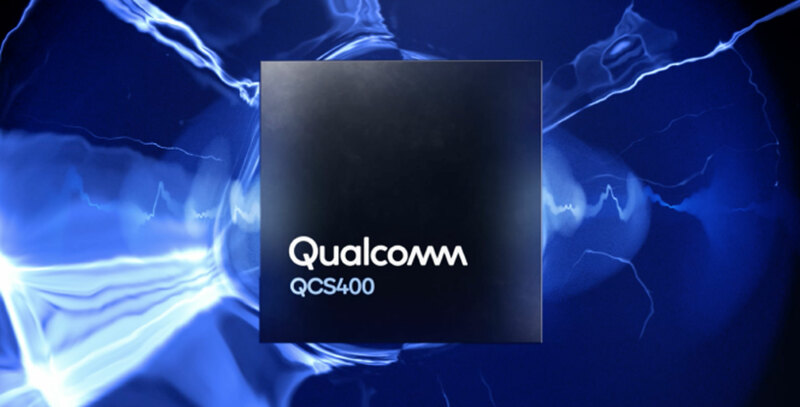 While he wouldn’t speak to the Wear 3100 directly, Saunders said Qualcomm has taken a lot of the lessons it learned with its Bluetooth chipsets and applied them to the QCS400 series. Out of the gate, the company plans to offer software tools that will help OEMs quickly and easily build the next generation of smart speaker devices. It’s hard to say whether the QCS400 will earn the kind of name recognition that its Snapdragon siblings have enjoyed, but what is clear is that it should make the smart speaker space even more interesting than it already is.